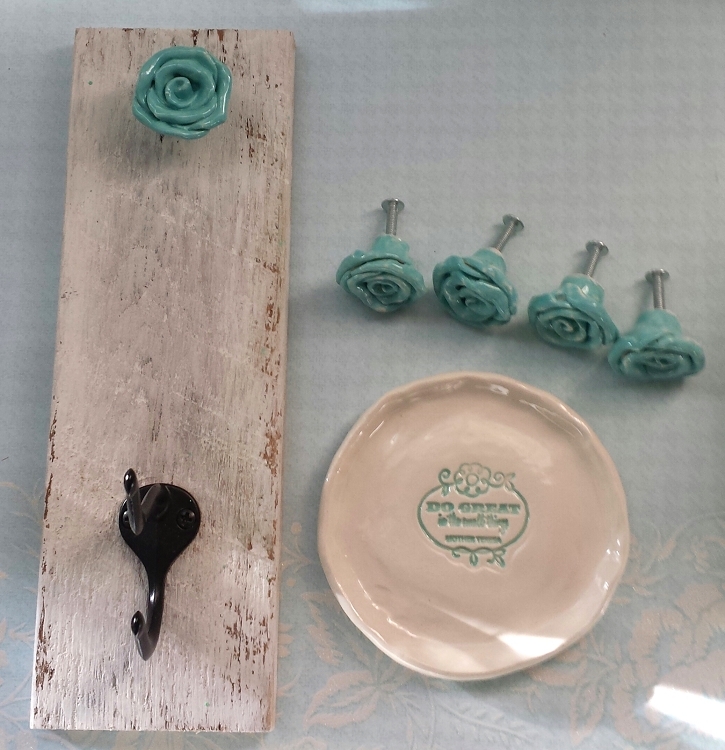 Rose gift set shabby chic rose home decor, wall hanger, rose knobs, heart dishes, extra surprise gift with every order on website. Availability: Rose in stock ready to glazed in your favor color.Takes 3 days to ship. Valentine gift set shabby chic rose home decor, wall hanger, rose knobs, Inspirational trinket/soap dish "Do Great In The Small Things" extra surprise gift with every order on website. Personalized Pet Bowl Feeding Bowl 5.5" Ceramic Celedon Color Your dog deserves the best!